I’ve been a fan of Camel Audio Alchemy for some time. If you are an Alchemy user and have an iPad or iPhpne/Touch I’m going to recommend you pick up Alchemy Mobile Pro. Note, you only have to buy the app and content once to use on both the iPad and iPhone. 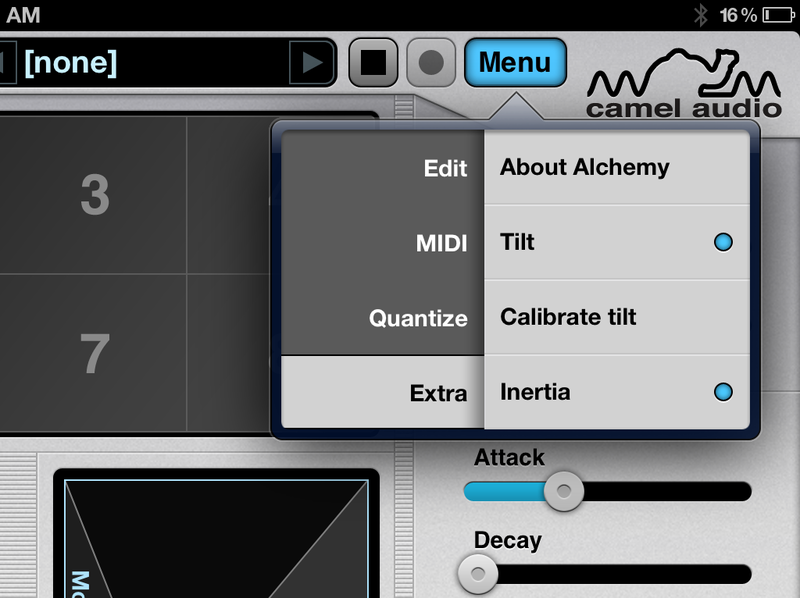 Alchemy Mobile v1.1.27 lets you move the remix pad using the new Tilt function to translate your physical hand movements into morphing sound changes, while Inertia lets these moves continue under their own steam while you carry on playing. 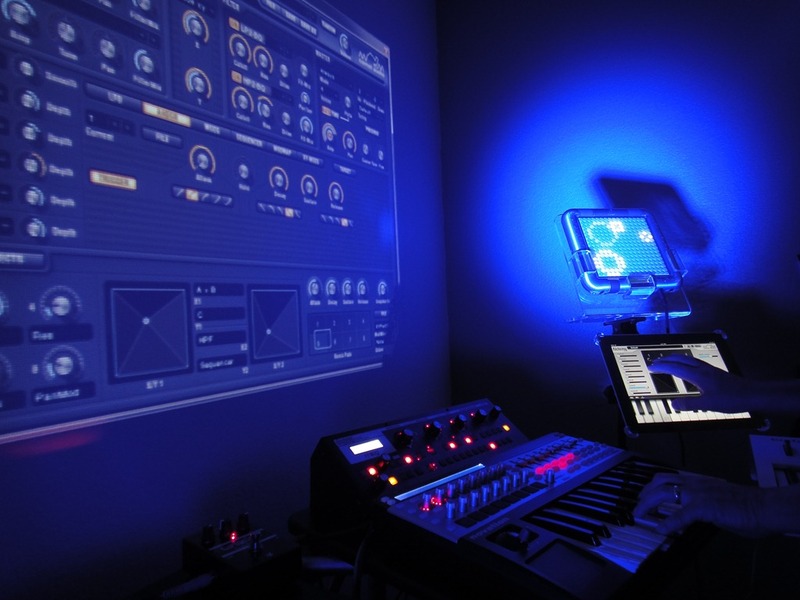 Other new features include quantise to tighten up the timing of your recordings, as well as unlimited record, bounce and export times, further improvements to the keyboard and menu displays, more control over MIDI input and outputs, and iPad 3 retina display graphics. The Pro Upgrade now lets you record remix pad movements to capture complex sound changes, bookmark your presets to make favourites easier to find, adds more complex quantise functions including triplets and a new 'Clear MIDI performance and loops' option. 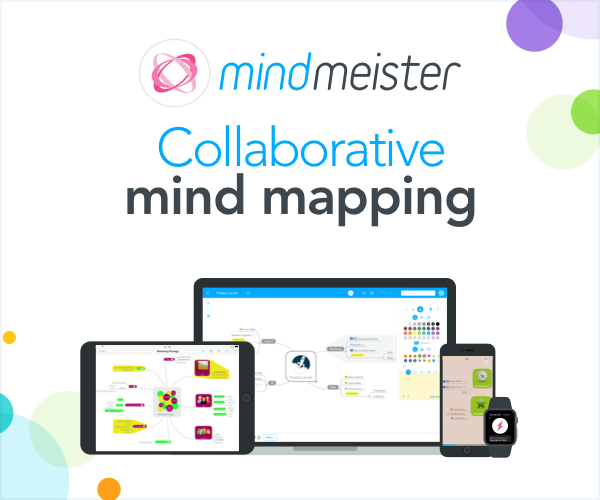 Upgrading to Pro is easy once you've installed the free version – just tap on the preset name in the upper left, switch to the Libraries page and select the Pro Upgrade to purchase for $14.99 / €11.99 / £10.49. 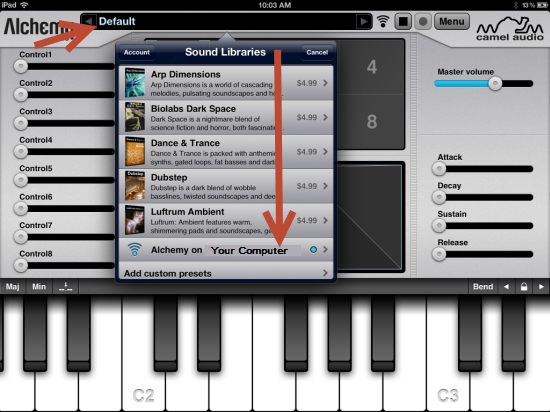 STEP 2: On the iOS device click the Sound Library name. Scroll down to “Alchemy on..”. You’ll see you computer there. Click the item and now your synced. At this point the iOS synth is disabled and the surface controls Alchemy full on you computer including patch browsing. Brilliant! A lot of iOS music apps are like “shinny objects” to me. They are fun but don’t end up in my workflow. Alchemy mobile is exception to this. 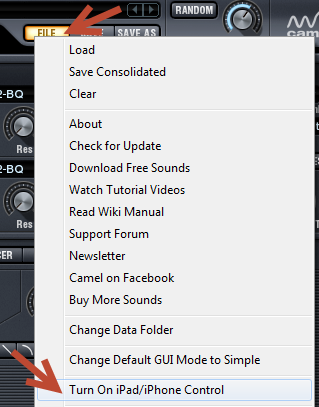 Nicely done Camel Audio!